The national shoebox collection week for OPERATION CHRISTMAS CHILD (OCC) is Nov. 12-Nov.19. Faith Community Church will serve as the Western Wisconsin Operation Christmas Child Collection Center. Want to help? The mission of Operation Christmas Child (OCC)is to demonstrate God’s love in a tangible way to needy children around the world, and together with the local church worldwide, to share the Good News ofJesus Christ. 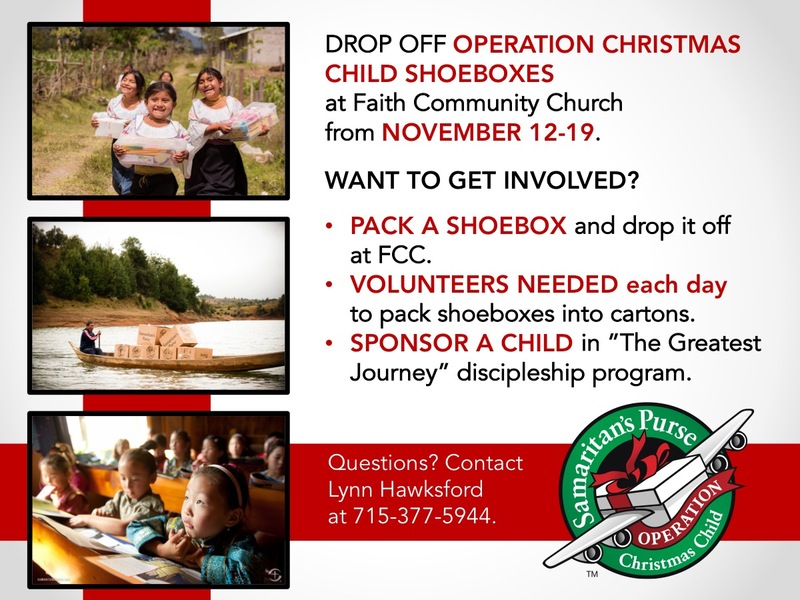 OCC partners with local churches for shoebox distributions. A gospel message in the child’s language is included with each shoebox and shared with the child when they receive their shoebox. OCC also invites children to learn about Jesus at a 12-week discipleship program taught by trained, local leaders. 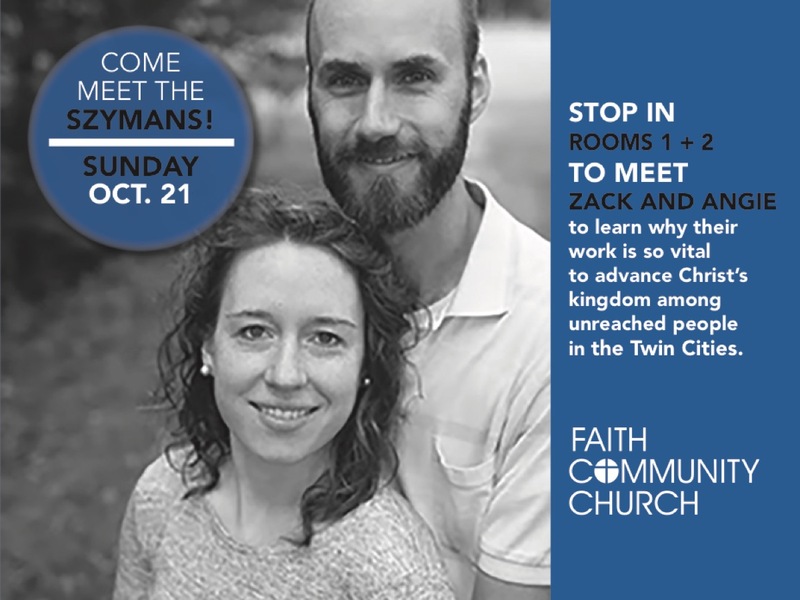 Coming up next Sunday, Zack and Angie Szyman will be in both services.Zack and Angie have been sent by FCC to live in Minneapolis and seek to make disciples among their neighbors of a specific immigrant group. God has opened the door for them to develop blessed friendships and to share the gospel, but almost all of these friends are closed to the gospel. Come hear about these friendships and how Zack and Angie are seeking to persevere in this ministry and how you can pray and partner with them. You can also stop by theRefuge Room following next week’s 9 am service To meet Zack and Angie and to learn more about their ministry.